From the pervasive conflicts in Syria and Yemen to the violence here in Chicago, children have all too often been the victims of our shortcomings. In recent years, many of us have felt a call to take action, but we don't know where to start or if we can make a difference. 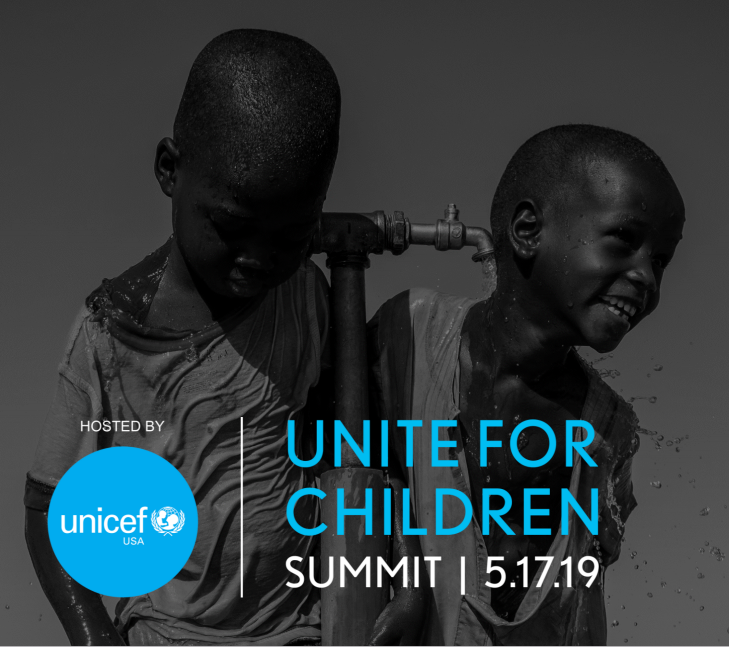 Hosted by UNICEF USA, join us for the Inaugural Chicago Summit which aims to educate and empower those who want to help improve the lives of children. Thoughtful programming will infuse inspirational speakers with experiential activities, and practical workshops with community building, to help participants turn their passion for helping children into action. Our goal is to unite an informed community dedicated to advocating for all children. We look forward to seeing you there! Visit our speaker page to learn more about featured speakers and agenda. All proceeds from the event will go directly to support UNICEF’s critical and life-saving work for children worldwide.